Spontaneous the Idea came up to redesign my page. I know what you are thinking: You don’t do much here anyway. But this is probably because I never really liked the design 😉 This will take a while and at the moment I just installed a new theme and I will clean up and add new features over the next few weeks. So finally and better late than never I uploaded the “Two Years AurigaCity Youtube Channel” aniversary episode. Indeed totally delaid, I totally missed November the sixth. That was exactly the date of the aniversary, two years ago I started my Cities XL New Coast City series. But this was not my first video I ever uploaded on my channel and related to this video there is a little givaway for you, as thank you. You can win a Steam key for Cities XL Platinum, please watch the aniversary episode for more details. Update: removed Small Parking Lot V1.0, it cause game crashes! Update: so, finally I had a bit time to fix all links and to add all missing and new mods. Now the list should be up to date. Update: there is a new XLnation.net page, thats the reason why all links are broken, I will try to fix them before my vacation! Recently @HawkeraBG asked me via twitter where he can find a full list of mods I use in my Cities XL Waterfront City series. I answered him: Well, unfortunately nowhere but that’s a good point! It’s definitely a good idea, so with this post I’d like to begin a list of all mods, including download links, I have installed into my Cities XL pack folder. IMPORTANT: Please don’t forget to leave a five Star rating for the mod creator on xlnation.net. Install mods only on your own risk, always do a backup of your cities save files first before you add any new mods to your game. Also IMPORTANT: Please, always read the mod description, especially for pre- requisite mods. They should be part of this list but just in case if I’ve forgotten to add them here. I reviewed some of these mods, please click on the mod name to watch the showcase episode of this mod on my youtube channel. If you miss anything or if a link doesn’t work, please write a comment. Overall it took me four years and 800 hours of work to finish this city. It was a amazing time, a lot of people read and enjoyed my city journals and watched my youtube series I started more than a year ago. Thank you sooo much for this, you guys are great. But, ok, I have to admit, sometimes the game was frustrating 😉 Especially the end of the planet offer was something that had a big negative impact on my motivation and was the main reason for my two years brake. But generally I can say I love this game and today with all these mods it is just awesome. But let’s get back to New Coast City, if you haven’t seen my series or read the journal: New Coast City is a masterplanded Cities XL Platinum city, its design based on a group of circular shapes combined to large organic layout and connected by a sunken freeway system. NCC is situated along a beautiful shoreline, with beaches and a island. My goal was to design a interesting and nice city layout, a bit futuristic but also realistic. That took a lot of time and work, that’s the reason why I wanted to celebrate this special moment, when NCC is finished. So my idea was to capture a cinematic city showcase at the end of the NCC series and here it is. It will take you on a little tour across New Coast city. I hope you enjoy it. Btw. a big thank you for all these likes and nice comments on youtube and thanks to Focus Home Interactive for posting this on the official Cities XL Facebook page. If you still like to know more about NCC, please watch the last episode of my series, there I explain a lot of things about this city. And now the coolest thing, in my opinion 😛 I added a Cities XL download section to my page and the first thing you can download from there is the New Coast City save file. So, you can take a look into the city by yourself. Important: Cities XL Platinum is required!!! A description how to import a city into Cities XL is attached to the .zip folder. And finally some of my favorite “photoshoped” screenshots from my city journal on XLnation.net Please go there if you want to see all of them. Btw. there are still two chapters left, to finish this journal as well. I will add them over the next weeks. The first one will be Banished. 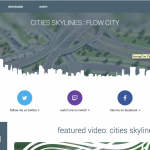 This is a very promising looking independent “survival” city building game. It’s a different type of game than Cities XL or SimCity. The first major difference is, the game has more a medieval and rural setting, so a lot of smaller, older kind of buildings. The second one is, it focus on surviving. 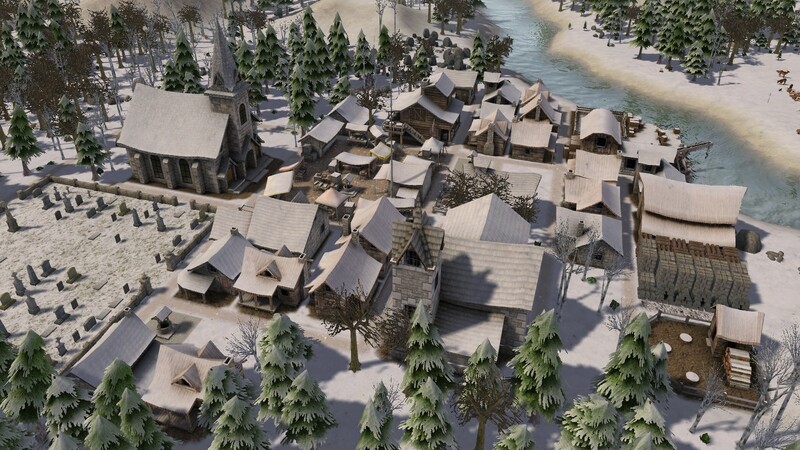 That means for example you have seasons and weather in the game and both have a big impact on your population. For example you need to gather all the recourses to produce enough clothes for your people, so that they are able to survive the winter. Same goes for food, you need enough for winter or for surviving drought. The second game I’d like to play is Novus Aeterno. This will be kind of a experiment for my channel, because usually I play creative games where you build stuff, but this game is a 4X RTS MMO. 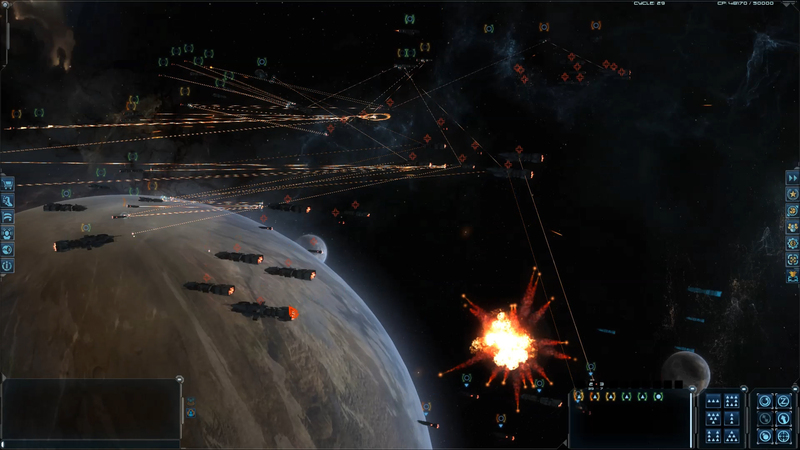 So, a Master of Orion as MMO, but not turn based, it is realtime strategy in a huge Sandbox universe. If you don’t know Orion, this game was about colonizing space, building a huge empire, customized ships and fleets, research new technologies and fight enemy empires. Thats the reason why it is called 4X: explore, expand, exploit, exterminate. It’s not the first try to turn the old Master of Orion gameplay into a MMO, have you ever heard about Celetania for example? Probably not because it died pretty fast after release, because of three reasons, first: no noob protection, second: unbalanced, uneven battles, third: if you were not able to log in for three days you probably lost your whole empire. Btw. same goes for all these Browser games like Ogame and how they are called, actually they are quite similar like Master of Orion, not so complex but similar and they have the same problems like Celetania. But Novus Aeterno seems to be different, Taitále, the developer, put a lot of thoughts into this and in my opinion they found solutions for these problems. I don’t want to go to deep into the details but for noob protection: fortress shield, makes your home world invulnerable, longer of-line period: take control of a planet took a loooot of time / ships destroyed while your are offline can be easily recovered, unbalanced fleets: in a battle the weaker player will be buffed to even things out. Sounds pretty cool to me and if this will work than Novus Aeterno will be the game I ever waited for, I really love the 4X genre. Actually I haven’t figured out when the release will be, at the moment it is in alpha state, but it looks like that release is planed for this year. Btw. recently there was a kickstarter campaign (I pledged btw. ;)) . Now it’s over, but the kickstarter page is still a good summary of all the features of this game. So probably this game is not so much different than the others I “let’s played” so far, because I will to try build up a empire in space, so we will build stuff 😉 in a huge sandbox with a complex gameplay, so creativity will be useful here as well.